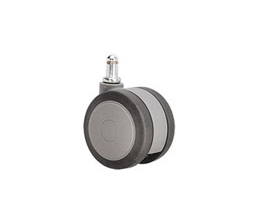 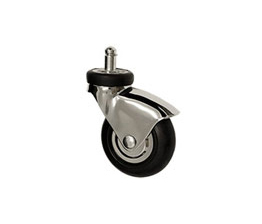 Service Caster offers quiet, smooth rolling casters and wheels for hospital carts, IV stands, food trays, and chairs. 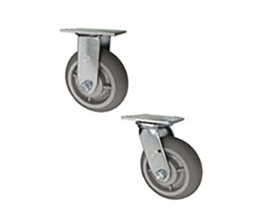 Keep over bed tables, IV poles, computer carts and medical service carts in optimum mobile condition with high quality casters and wheels. 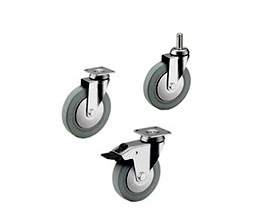 Select from soft wheel seating and equipment casters; MRI safe wheels; polished zinc, stainless steel and polished chrome finish casters to meet your hospital and medical facility needs. 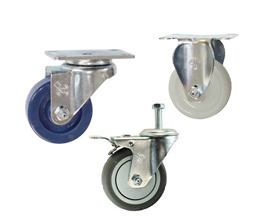 For additional hospital, medical, and institutional casters, including antistatic and cam lock casters, please call our office in West Reading, PA at 1-800-215-8220.